The 2016 Holiday House at Cherry Hill Township’s historical Barclay Farmstead allows guests to kick off the holiday season in unique fashion. The farmhouse at Barclay Farmstead is not decorated like most houses during the holiday season. There aren’t any flashy lights on the roof or giant inflatables on the front lawn. The holiday decorations at Barclay Farmstead are instead simple, but eye-catching. The decorations harken as far back as the early 1800s and show what a house may have been decorated like for the holidays more than 100 years ago. 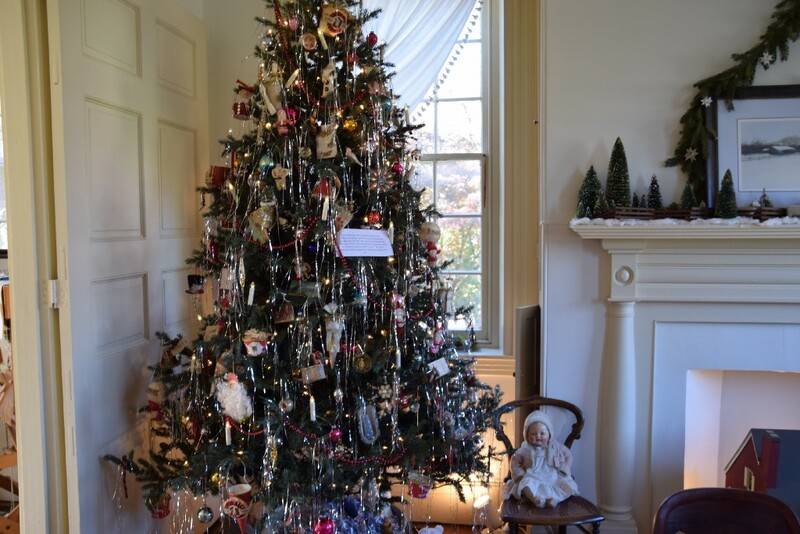 Each year, Barclay Farmstead opens its doors for Holiday House, an event where residents can get a close-up look at holiday decorations, historical artifacts and take a tour of the historical farmhouse. Holiday House opened on Nov. 18 and will be open again on Nov. 19 and 20. For the 200th anniversary of Barclay Farmstead, this year’s Holiday House focused on the three families who owned the farmhouse since 1816. Sue Muncey was one of the tour guides explaining the theme behind each room to this year’s Holiday House guests. 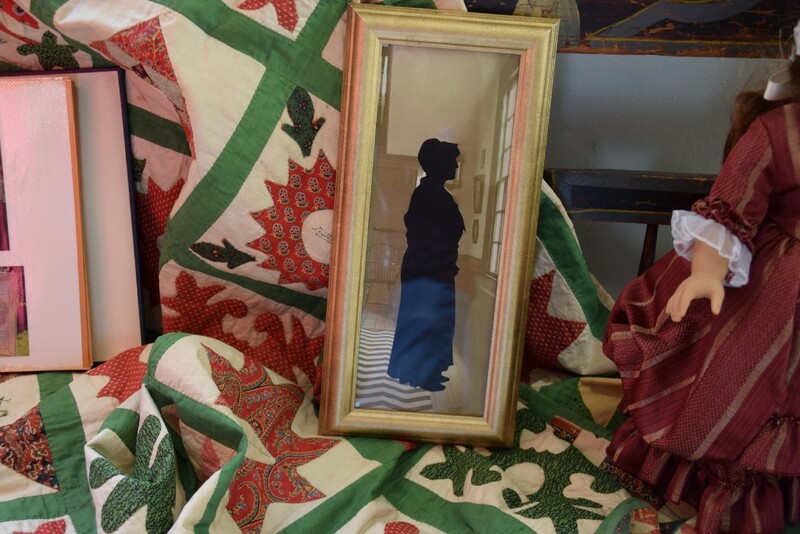 “Each room is a snapshot of the three families who lived in the house,” Muncey said in the house’s front parlor. The front parlor is decorated in honor of the farmstead’s final owners, the Barclay family. This room is the location of the farmstead’s Christmas tree, decorated in subtle, candle-like lights, multi-colored balls and plenty of tinsel. Perhaps the most interesting feature of the tree is the silver bucket underneath. A layer of cellophane encloses the top of the bucket with ducks floating on top of the cellophane. According to a story from former farmstead owner Helen Barclay, her family’s tree used to be decorated in such a way as to allow the toy ducks to appear to be “swimming” underneath the tree. Sitting on the floor in the front parlor is a dollhouse constructed as a replica of Barclay Farmstead. The house was raffled off decades ago to help pay for the historic site’s restoration. “The family who owned it for many years donated it back to the farmstead,” Friends member Lorraine Allen said. Also included in the room are some china from the Barclay Collection and various portraits of Helen Barclay from different points of her life. 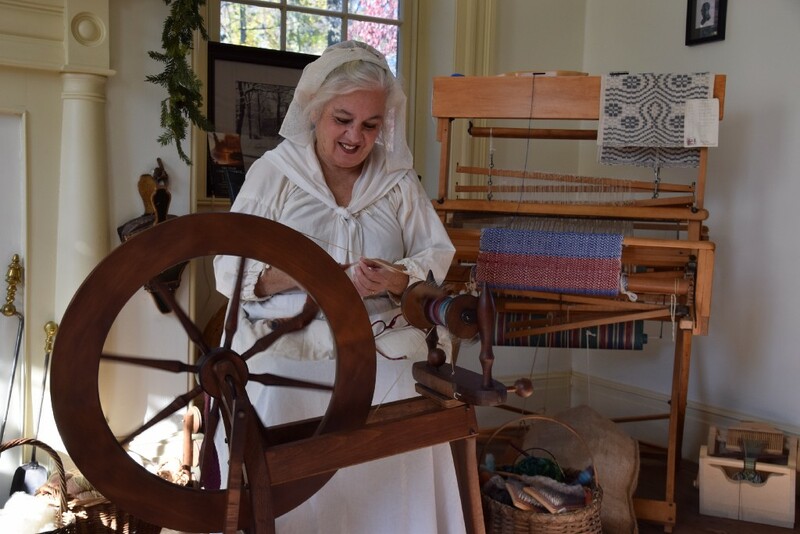 In the back half of the parlor is a room where guests can view a sewing demonstration performed by one of the farmstead’s costumed guides. On Saturday, the room will also be where guests can receive a free silhouette portrait. A sample of a portrait was on display in the room on Friday as a preview. Two bedrooms upstairs are decorated in honor of the farmstead’s other two owners. The first bedroom on the left is decorated in honor of Joseph and Esther Thorn, the original builders of the house. The Thorn family moved into the house in June 1816. The decorations in this room are simple, reflecting the Quaker style of the season. 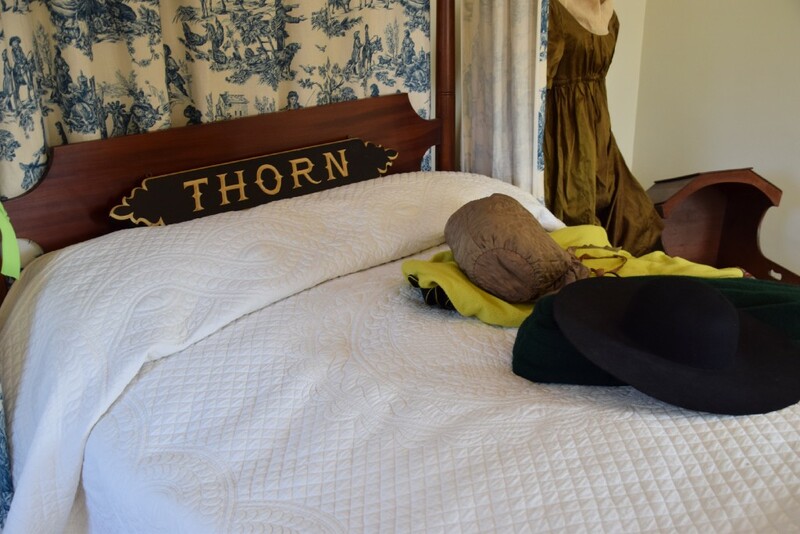 The second bedroom is decorated in honor of the Cooper family, who used the farmhouse as a summer retreat while maintaining a regular home in Camden. The room is filled with Victorian-style furniture dating back to the late 1800s. 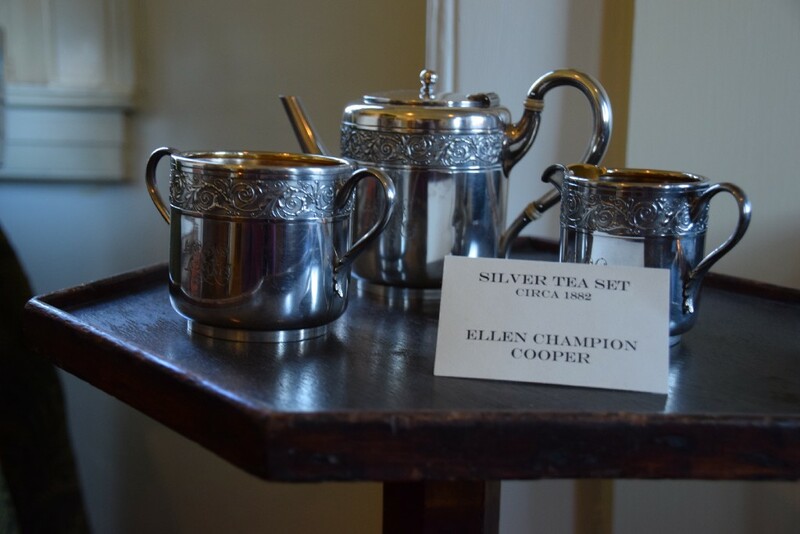 Some interesting artifacts include a silver tea set owned by Ellen Champion Cooper and a silk quilt dating back to the same time period. 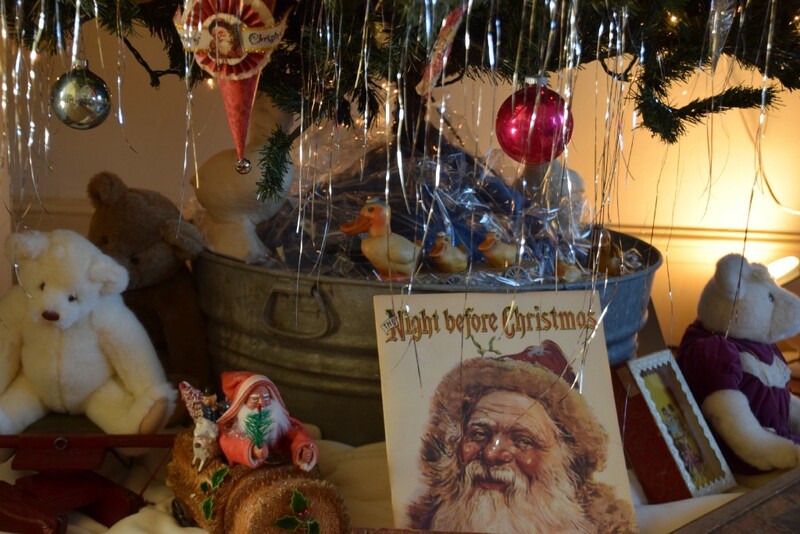 Guests can see even more decorations and hear more stories at Holiday House this weekend. Holiday House will be open on Saturday from 10 a.m. to 5 p.m. and Sunday from noon to 5 p.m. Guests can make a $5 donation at the door, with proceeds going toward the farmstead’s educational programs. Barclay Farmstead is located at 209 Barclay Lane in Cherry Hill.